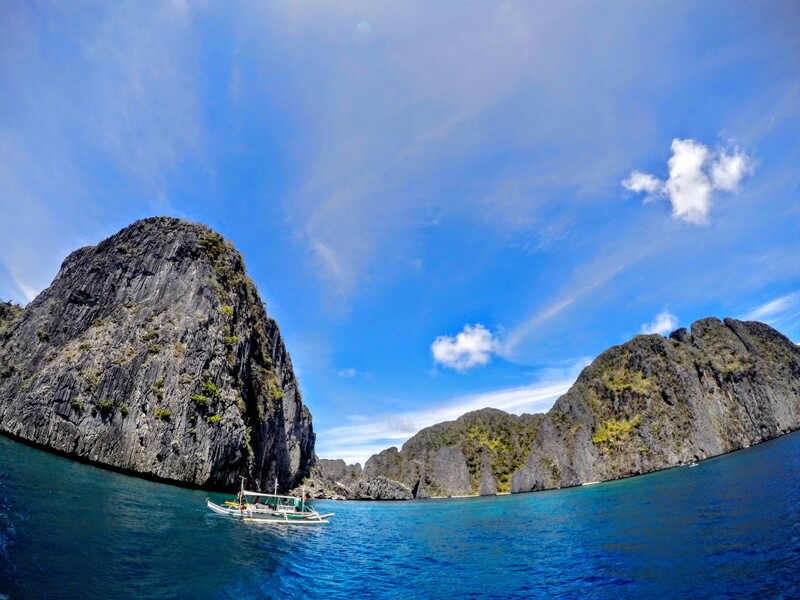 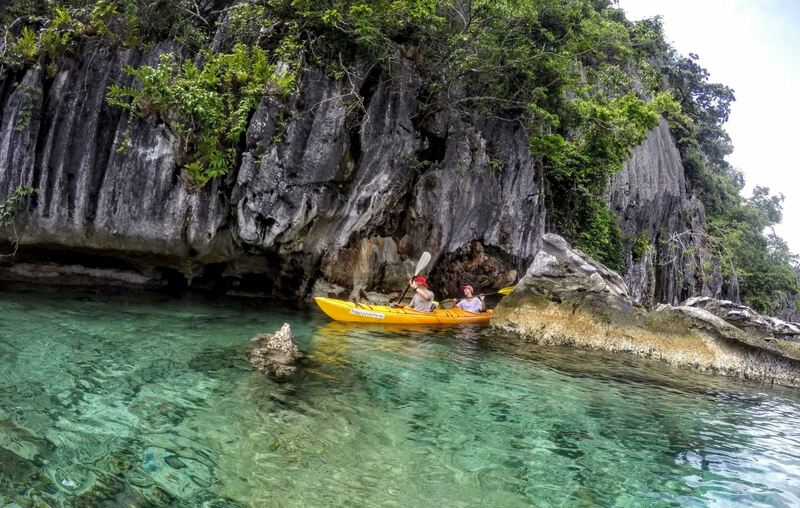 Experience the whole of Coron Island, from its tourist highlights through to its secret lagoons and jaw-dropping undercut limestone cliffs. 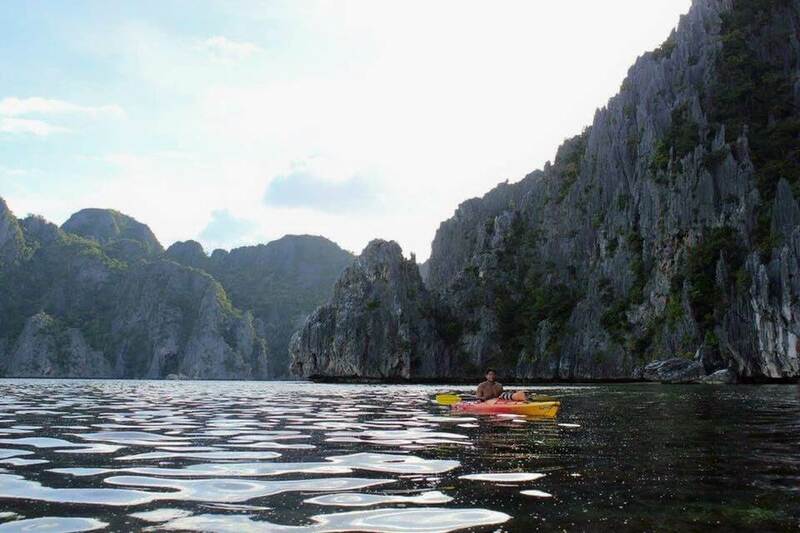 This Coron adventure takes you down to the southern point of Coron Island, Calis Point – a less frequented part of the island, where you won’t find another tourist in sight. 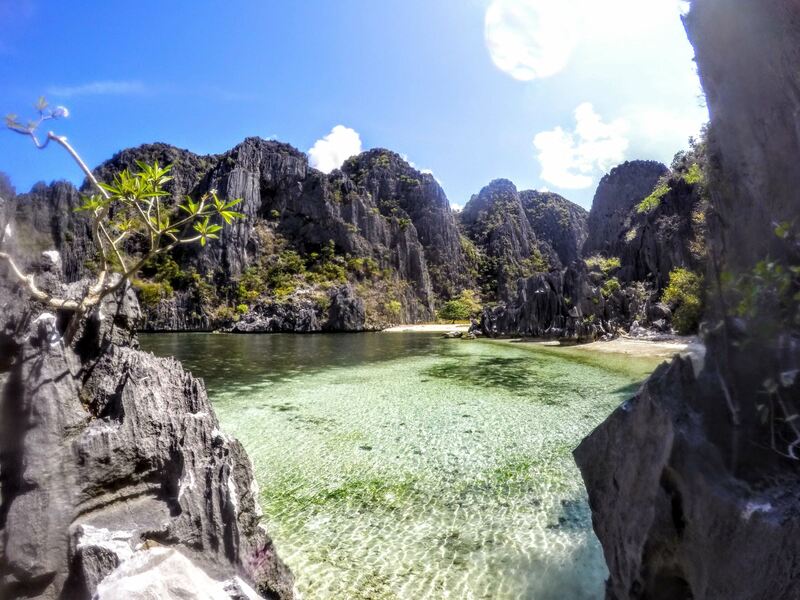 You will meet the local Tagbanua tribespeople and with the help of your Tribal Adventures guide, learn about their way of life and the stories and myths about the majestic Coron Island. 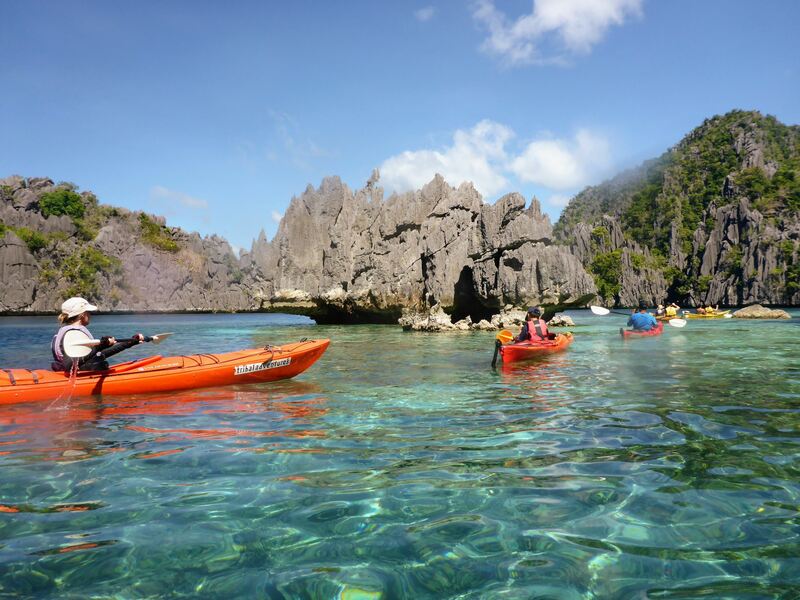 The trip can be done with the comfort and ease of a support boat and crew, motoring between the best paddling destinations on the island, or for serious kayakers, purely by expedition sea-kayak, paddling the whole distance of around 80 kilometers to circumnavigate the island. 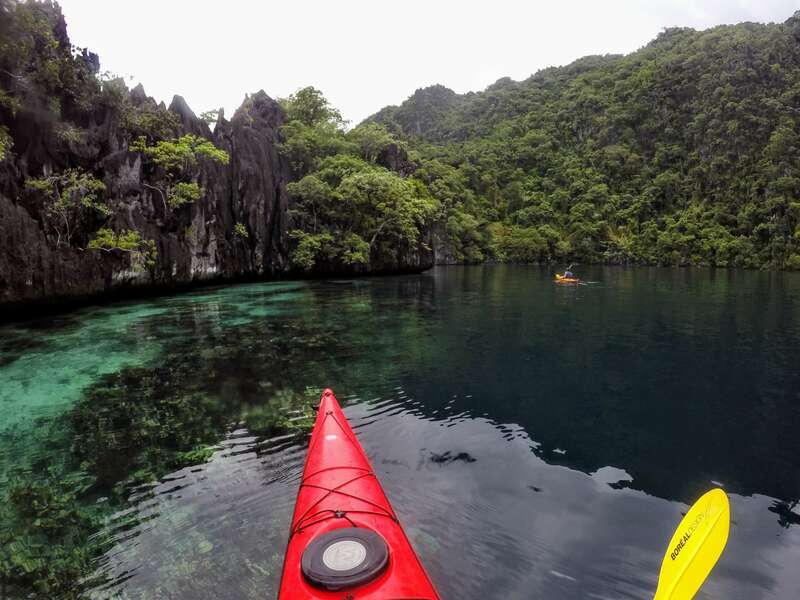 The intended itinerary below is a 3-day expedition with a motorized support boat, paddling only the choice spots on Coron's coastline. 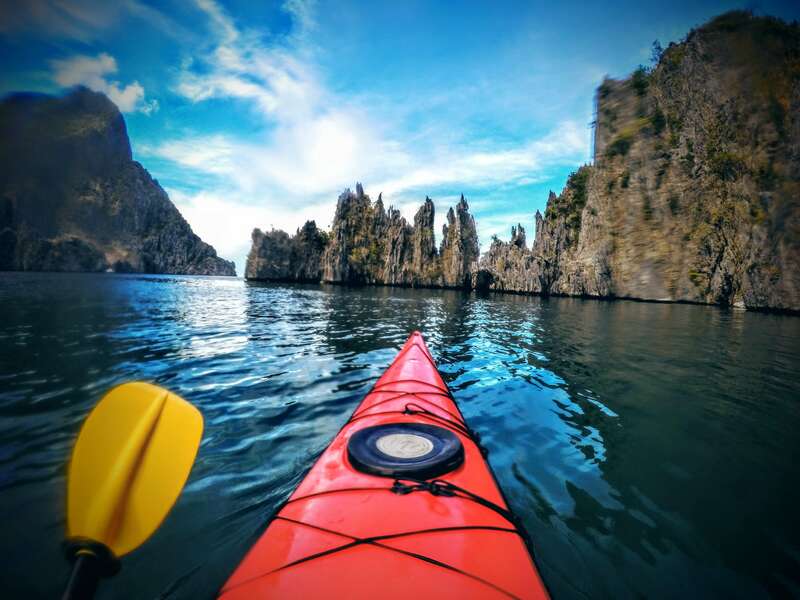 Doing the trip unsupported would require at least 5 days for the average kayaker. 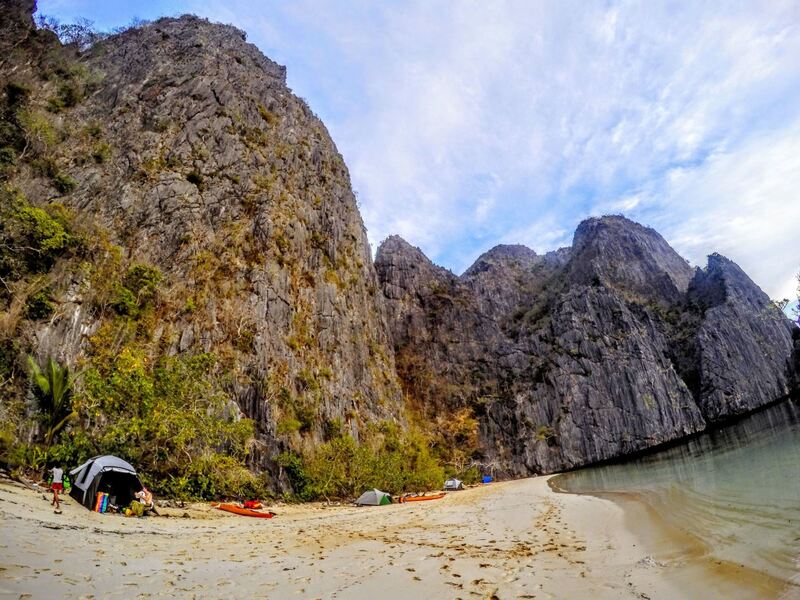 If the weather cooperates we leave on motorized outrigger banca with kayaks from loading area of Coron Town to the east coast of Coron island, paddling from Cabugao through to the Secret lagoon, under undercut cliffs if it’s lowish tide and on to our white sand beach campsite with towering limestone cliffs above. 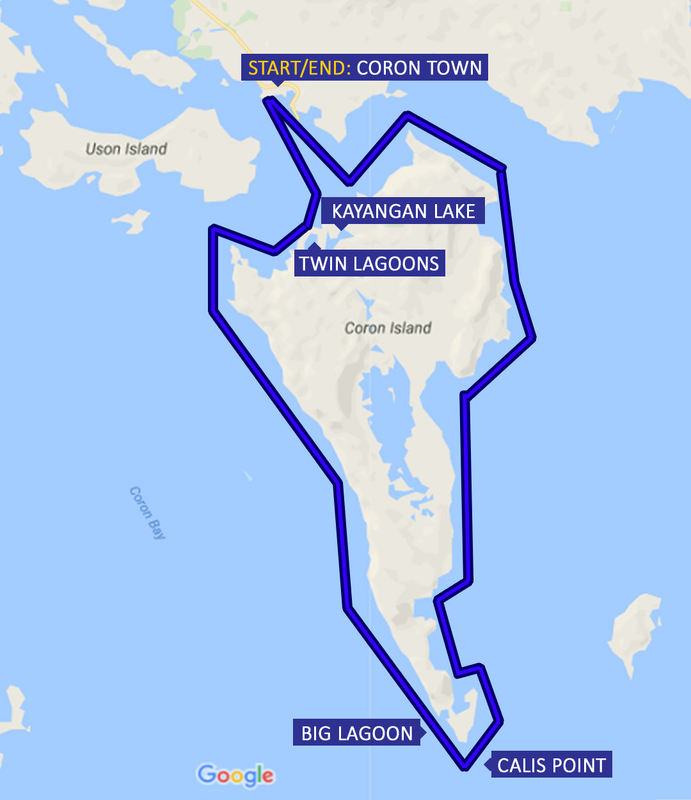 If the Amihan (east wind) is too strong according to boat captain and guide, the trip will go down the west coast instead–with attempts made when the wind drops to get around to the east coast, even if briefly. 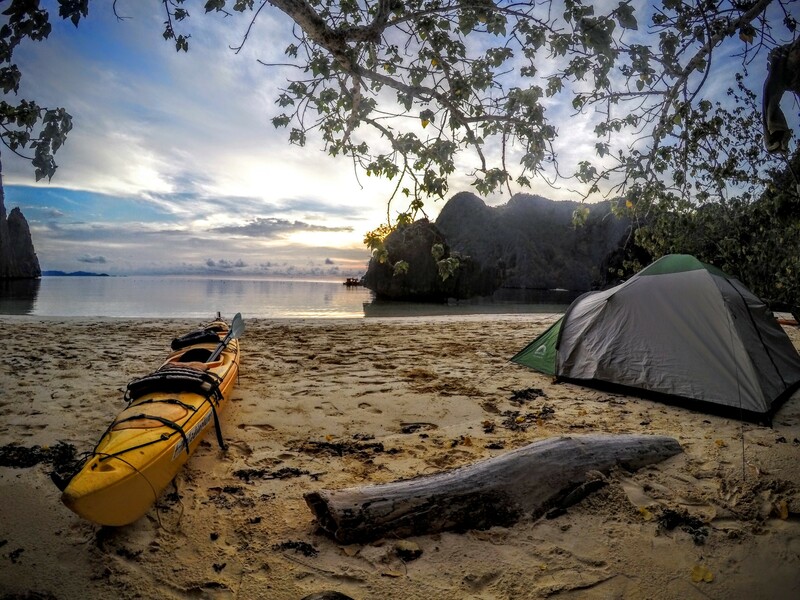 The paddle would then be up the west coast, camping at two sites on the west coast). 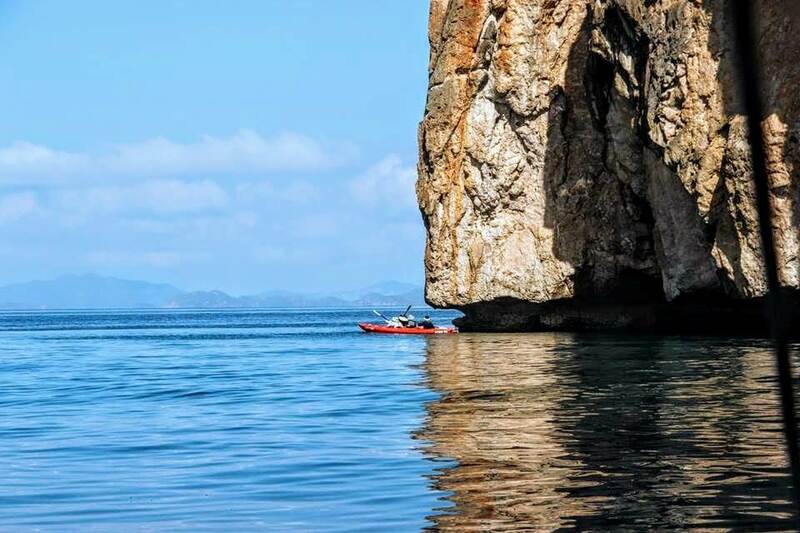 Break camp after breakfast and paddle Calis lagoon and round Calis peninsula, entering if tide correct into Cathedral Cave for short exploration. 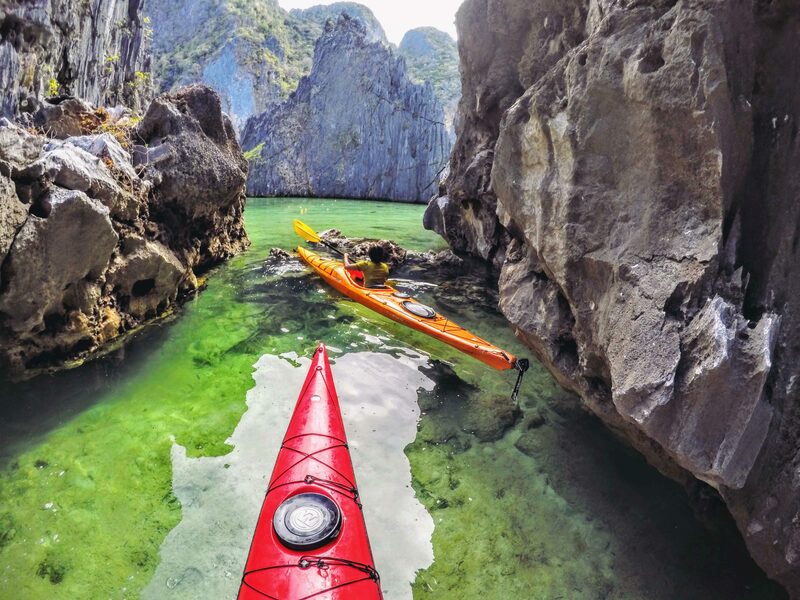 Proceed to Calis lagoons on the west coast, paddling north to the campsite. 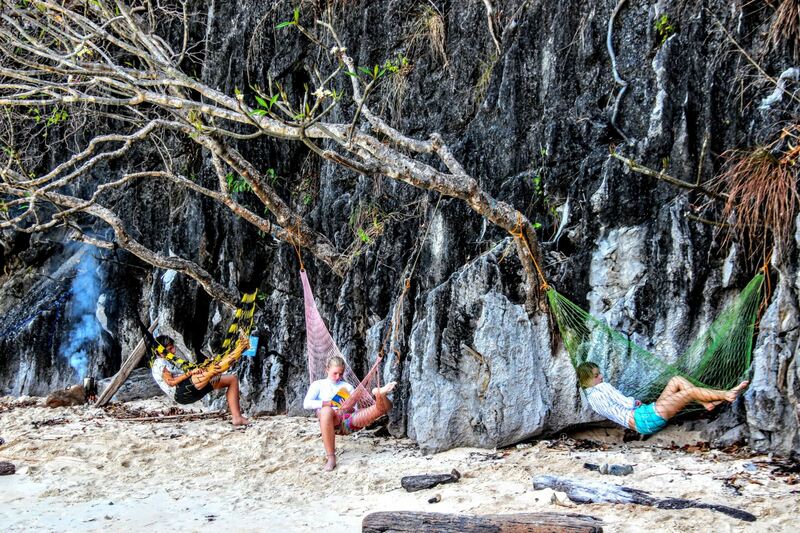 Breakfast and break camp. 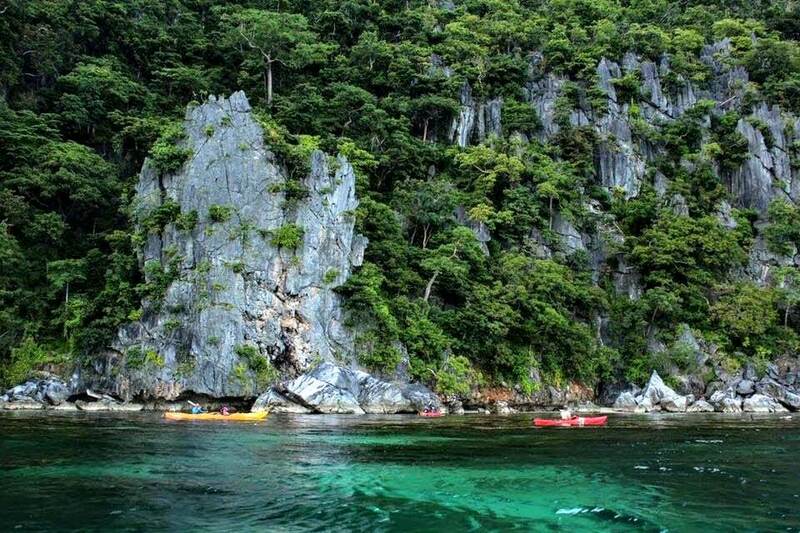 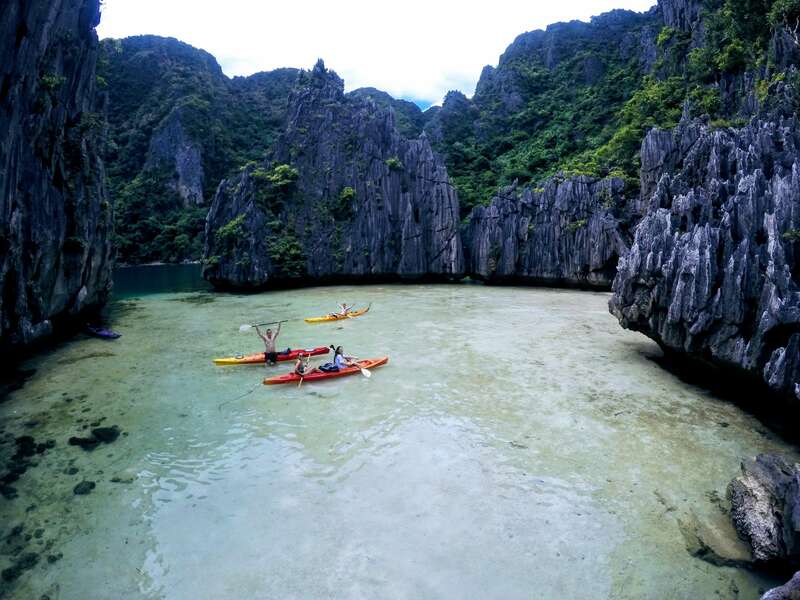 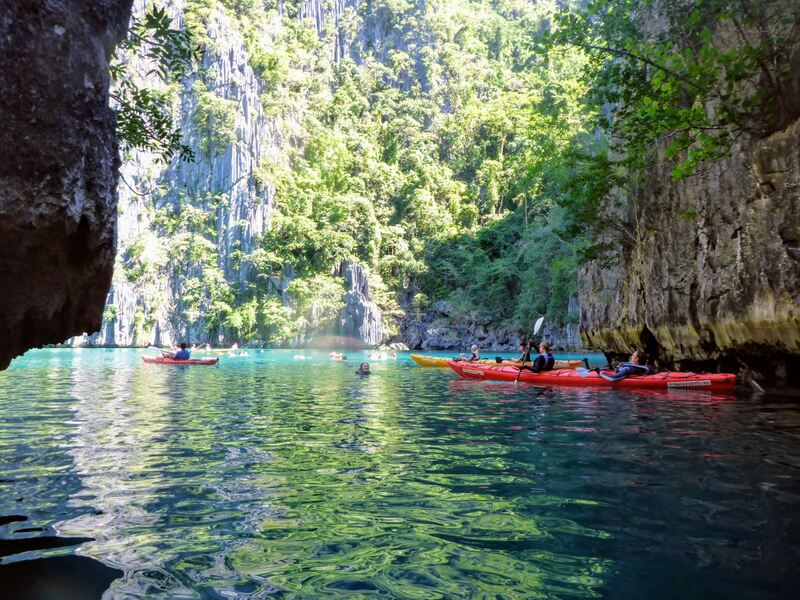 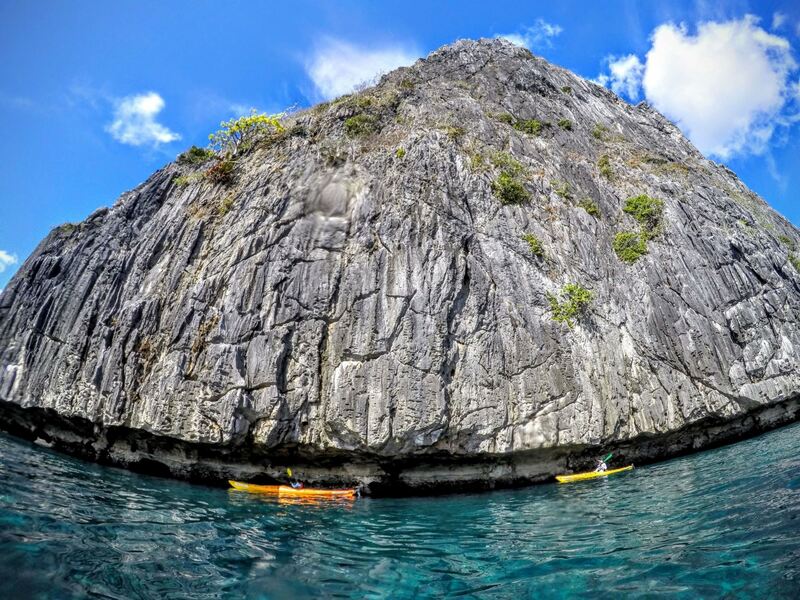 We paddle the western coast of Coron Island, stopping at beaches and snorkelingng at whim, reaching Skeleton Wreck, a cave and plenty of lagoons, including Twin Lagoon and Kayangan Lake. 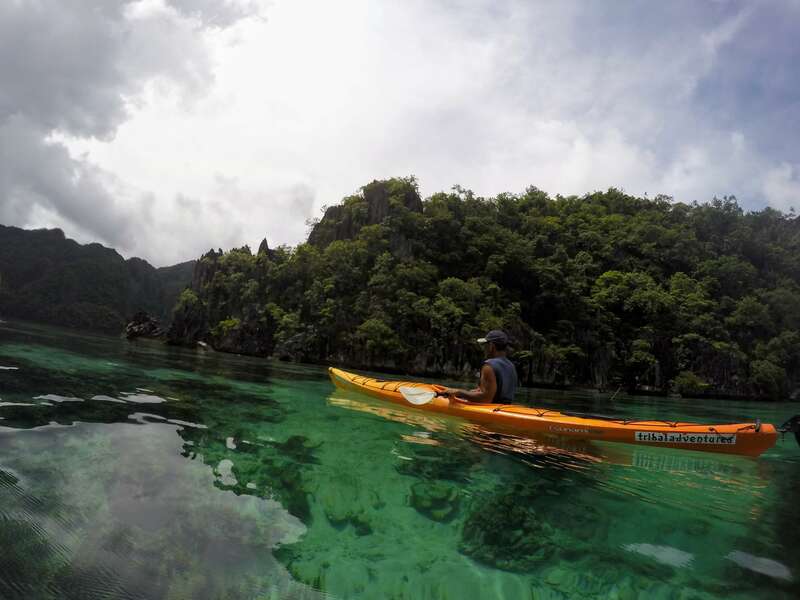 After lunch, we paddle back across to Siete Pecados and then on to Coron town or we hitch a ride to town on the banca. 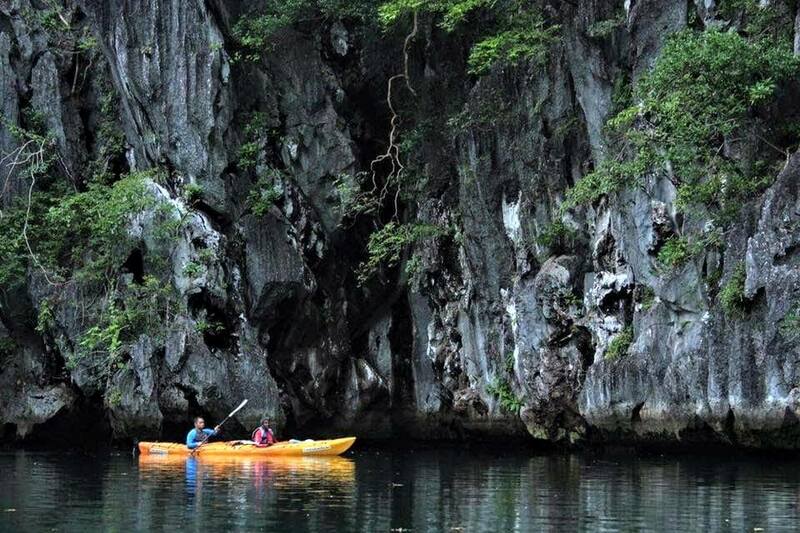 Unsupported with the provision of sea kayak, life vest, paddle, skirt & guide, but NOT including food & drink nor park entrance & camping fees. 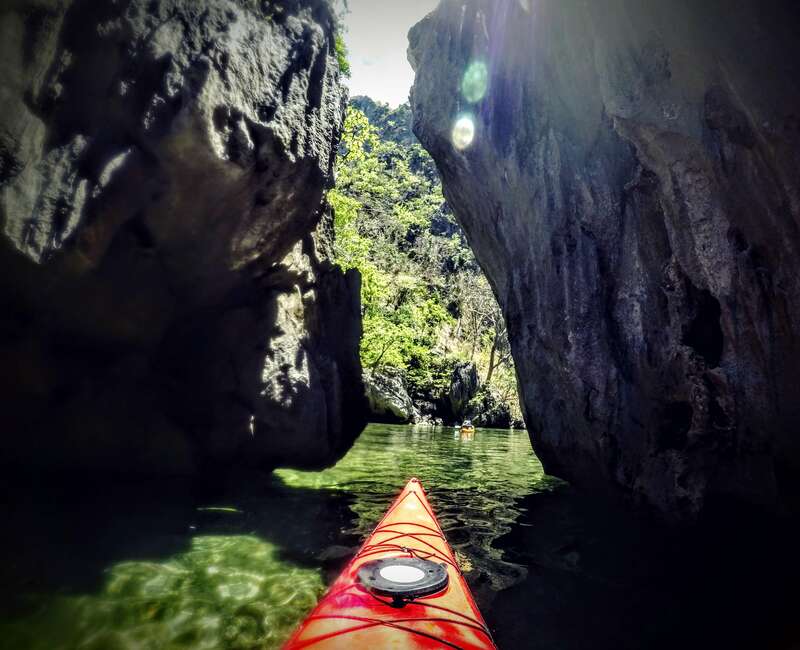 With support banca & crew, budget camping and cruise/kayaking/food/drink provisioning with kayaks, equipment & guide, park entrance & camping fees.